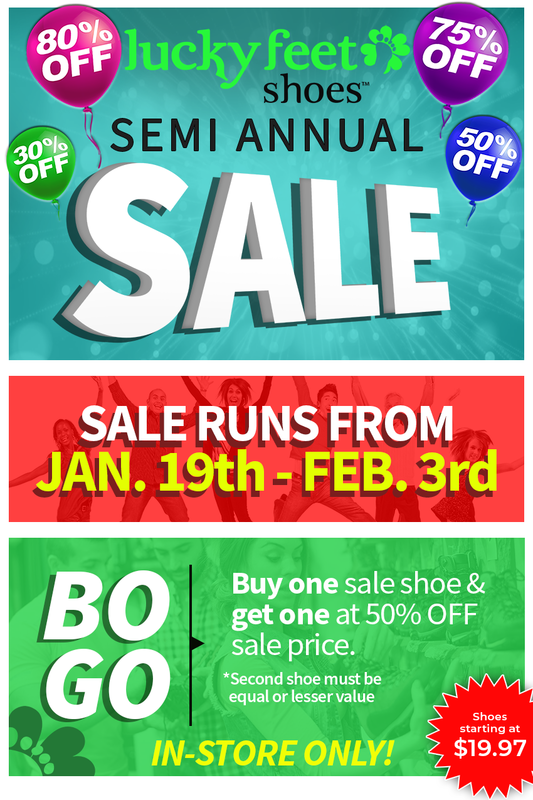 Don’t miss out on our in-store SEMI-ANNUAL SALE! Sale begins January 19th and runs through February 5th. Preferred customers will have a chance to enjoy a special preview between January 17th and January 18th. Find select styles marked down anywhere between 30% to 80% off. Select shoes will be priced at $19.97 and up. Offer cannot be combined with any other promotion or discount codes. CLEARANCE STYLES ARE FINAL SALE-no refunds, returns or exchanges. Offer applies to all in-stock clearance merchandise only. Bogo promotion only applies to in-store purchases. Discount will be given on the second pair of shoes, which must be of equal or lesser value. Valid only on the purchase of select, in-stock clearance merchandise that is on sale.